That date marks the first successful ascent of the Matterhorn by a group of British, French, and German mountaineers. Nearly 150 years ago, eight men made this treacherous climb in conditions that are hard to fathom for the modern day mountaineer. 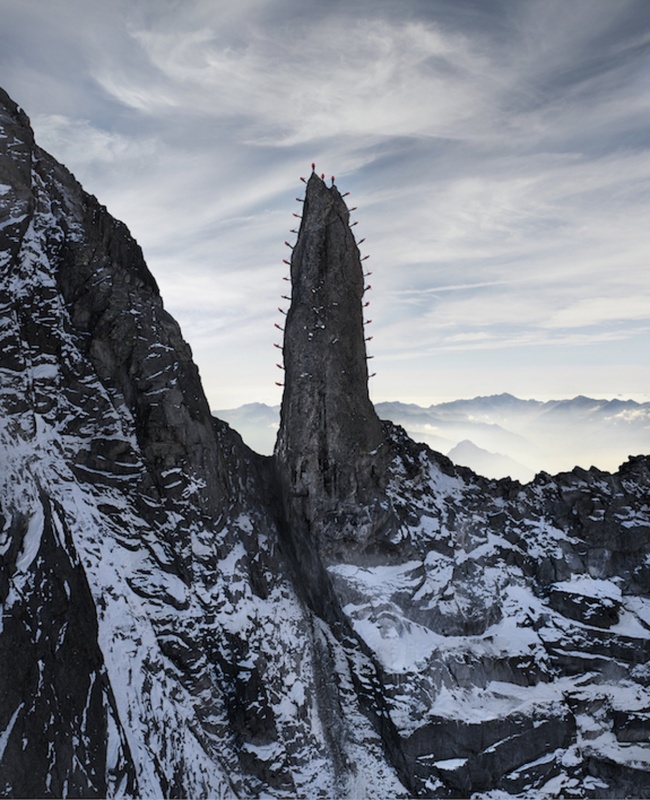 Forget crampons and GoreTex: these guys sported shoes studded with nails, and it’s a safe bet to say that their outerwear was not one bit breathable. If you’re not convinced that this was a tough ascent, here’s a sobering fact: five of the group of eight died on the descent. 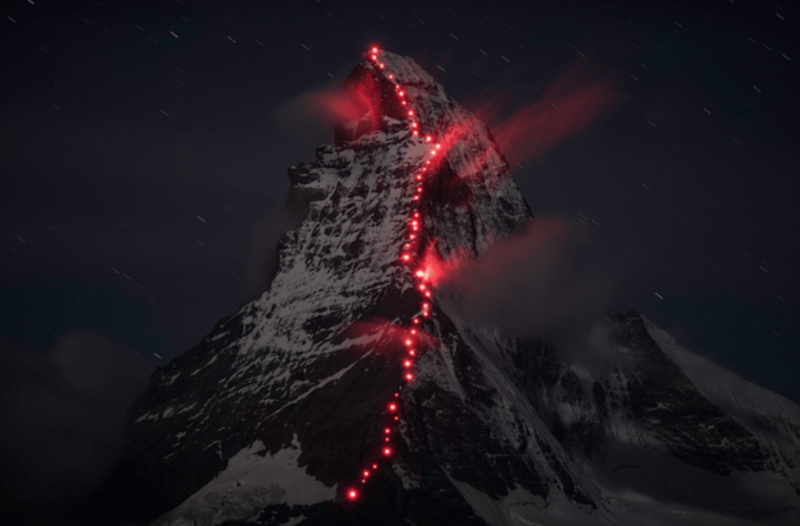 On the eve of the 150th anniversary of the first Matterhorn ascent, Mammut Sports Group pulled together hundreds of mountaineers. 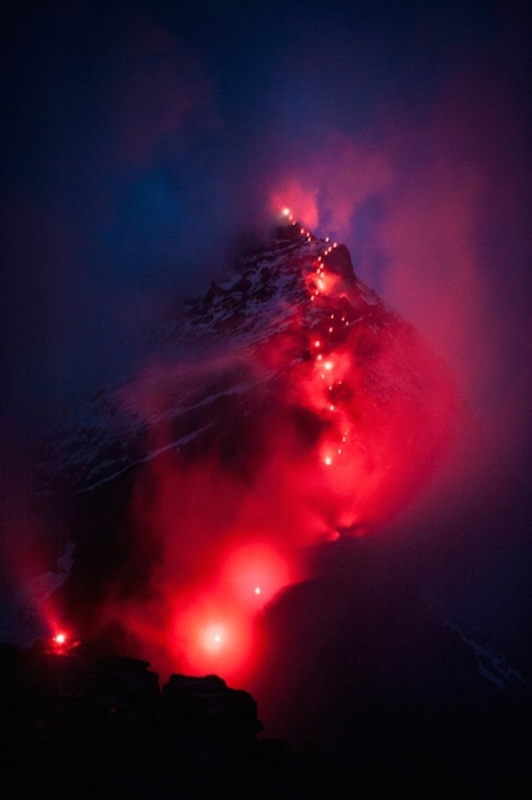 Under the direction of photographer Robert Bösch, the climbers illuminated the original path with glowing red lights. 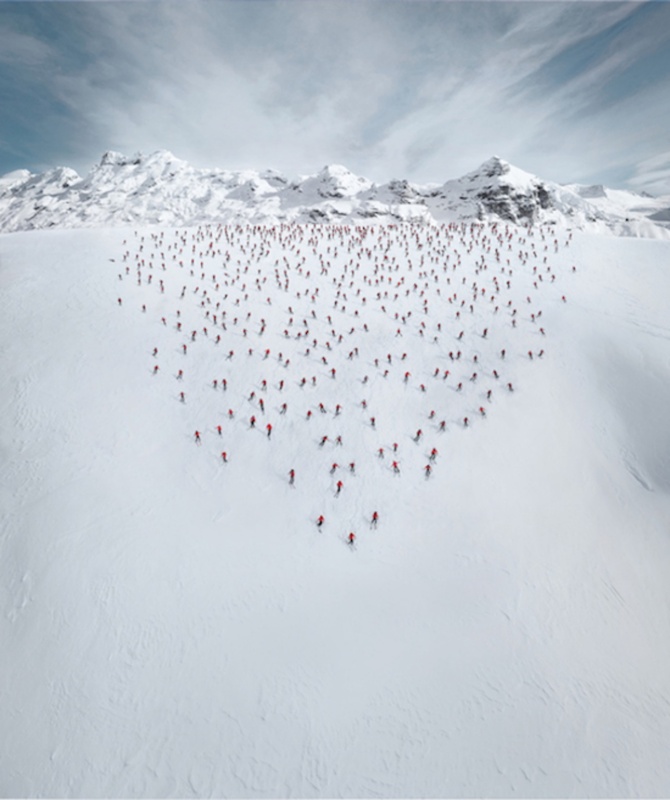 The result: a collection of spectacular photos, showcasing the glory of the Matterhorn and the athleticism of these mountaineers. It couldn’t have been easy to orchestrate such a photo shoot, but don’t worry: the mountaineers were rewarded with some fresh lines on the way down.